Ibis Semarang Simpang Lima is the right choice to stay in Semarang. You will be at the heart of the business center and the main tourist attractions, including the most famous culinary area. We are looking forward to welcoming you soon. 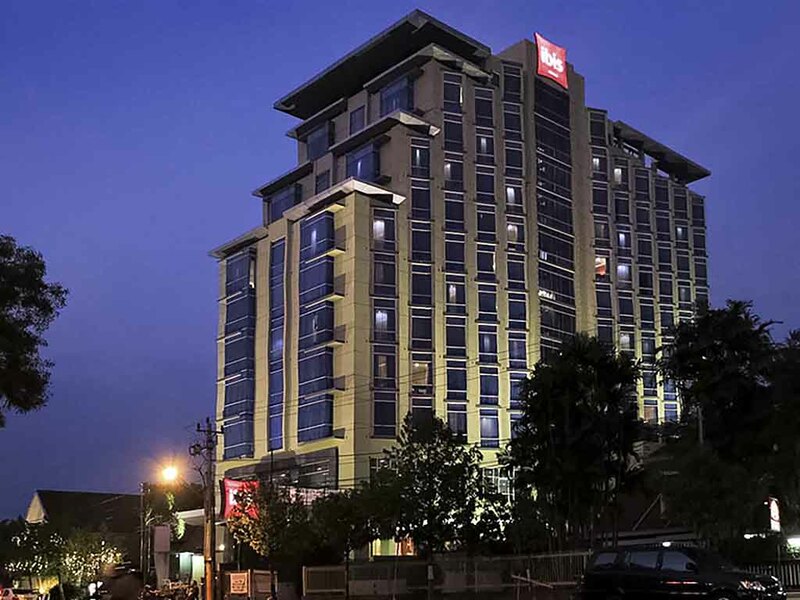 Ibis Semarang Simpang Lima, strategically located in Simpang Lima in the heart of Semarang, is nearby shopping malls and also business distric area. Our 23 sqm room spacious rooms feature a flat screen TV with a wide choices of channels and comfy beds to ensure you a great night sleep. Breakfast in style in La Table Restaurant or gather in our bar. Stay connected with our free high-speed Wi-Fi in all areas. We guarantee you a smooth stay with our contract "15 minute satisfaction guarantee". Semarang has many tourism attractions such as Lawang Sewu, Old City and Sam Poo Kong. As a culinary destination, the city also provides authentic food such as Lumpia Semarang and Bandeng Presto. Time to explore natural beauty combined with history!